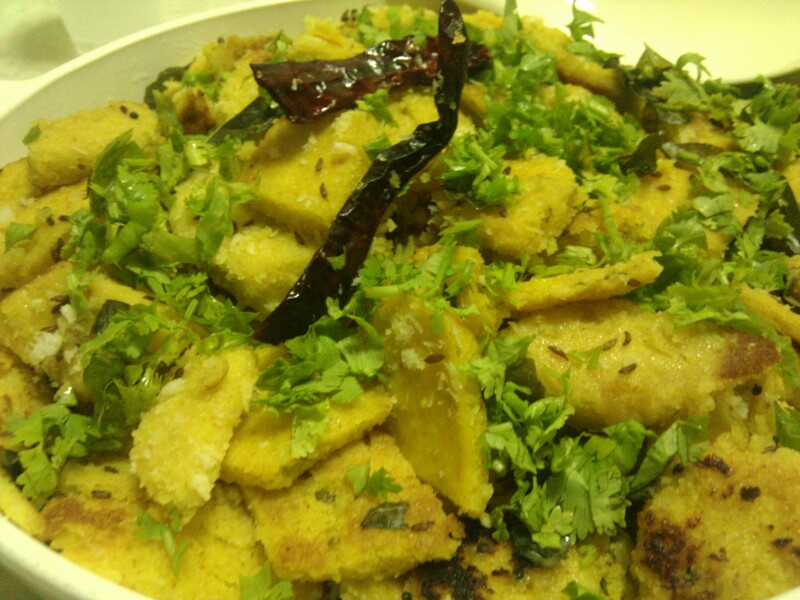 Real Gujarati Dhokla – Cook It Daily! Mix the dhokla flour, yogurt in a bowl with some water, mix it well to avoid lumps. 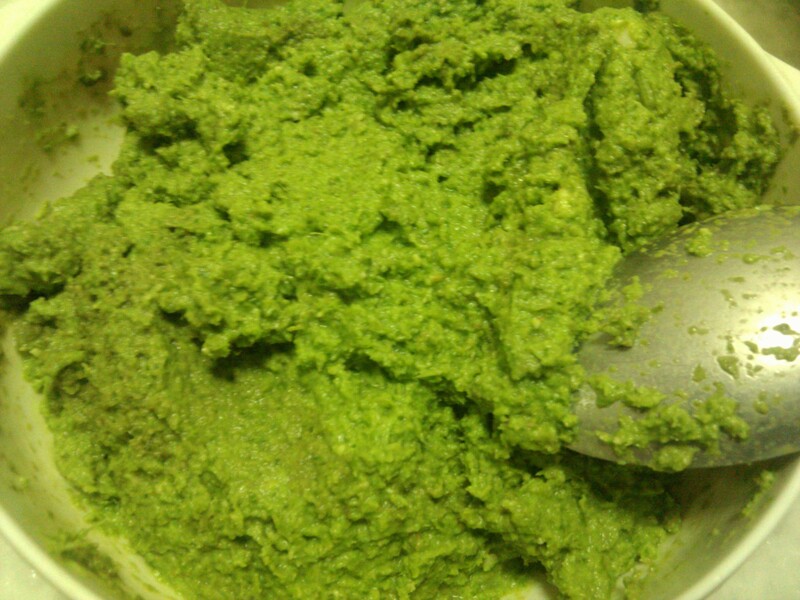 Make the ginger, garlic, greenchili paste, lemon juice and mix it well in the batter. Add pinch of asafoetida, 1 teaspoon of sugar, red chili, coriander and jeera poweder and salt to taste, mix it well. Leave the batter for 1-2 hours to ferment. Take 2-3 thalis, and grease it with oil. Bring the steamer to boiling point. 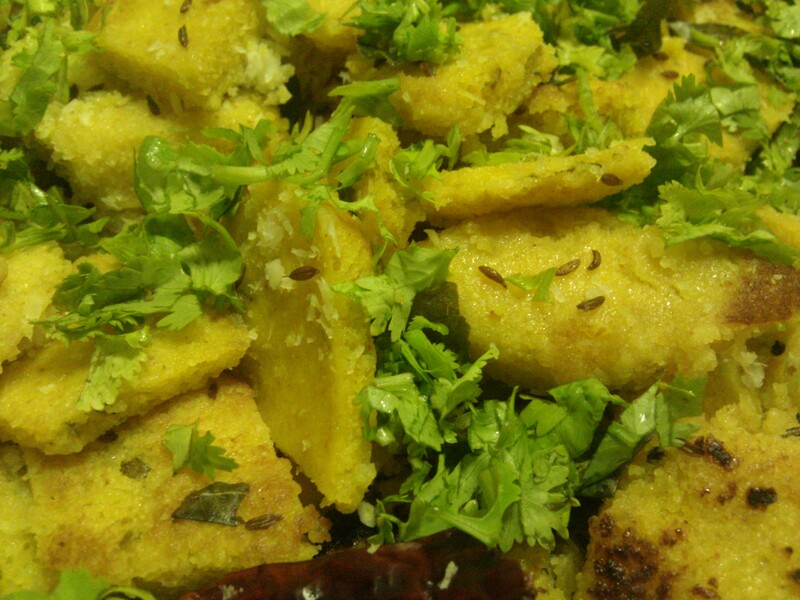 After 8-10 mins Dhokla will be cooked- to check take a knife and insert in the batter, if the batter sticks to knife- it is not cooked yet, and if it doesn’t stick- that means it is ready to take out. Take out the thalis from steamer when the batter is cooked and let it cool down and then cut it into small diamond shaped pieces. Heat 2 tablespoons of oil in a non-stick pan. Add half tspn mustard seeds and cumin seeds. When they start to sputter, add a pinch of asafetida , dry red chillies and fresh curry leaves. Then add the pieces of dhoklas and season it for about 5-10 min turning a few times in between. Add a tsp of sugar and fresh shredded coconut to it. Let some of the dhoklas turn a little crispy light brown. Garnish with grated coconut, and coriander leaves.